Alaska Women Speak is pleased to announce that it has received a grant from the Alaska Humanities Forum for the first time in its 25-year history. This grant is in support of Alaska Women Speak: Telling Our Stories. Alaska Humanities Forum’s Grant Program funds projects that connect Alaskans through stories, ideas and experiences that change lives and empower communities. “The Telling Our Stories project will greatly extend the reach of Alaska Women Speak, a literary journal devoted to sharing the ideas, literature and art of Alaska’s women. We hope that this project will introduce the publication to more women across Alaska and encourage them on their own journeys of self-expression. Through wider distribution, the stories within each issue of Alaska Women Speak will offer a springboard for connections across our diverse state,” said Kameron Perez-Verdia, CEO of the Alaska Humanities Forum. Alaska Women Speak is incredibly honored to receive support from the Alaska Humanities Forum. 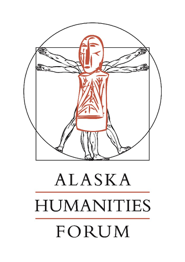 On behalf of Alaska Women Speak all volunteer board and staff, we thank the Alaska Humanities Forum for their extraordinary commitment to the humanities as it relates to women’s stories. Founded twenty-five years ago, AWS gave Alaska’s women a forum to voice their ideas, opinions and experiences. Today, the emerging and established voice and creativity of Alaska’s women are more important than ever. Our stories, fiction, non-fiction, poetry and essay describe our journey, current joys and challenges and provide readers with a unique perspective of women in Alaska.